Youth Ambassadors of Hope (YAH) is a subdivision of the nonprofit organization Children’s Hope International Literacy & Development. Our mission is to engage youth members to become active in their communities and give back through community service. YAH empowers youth members to be innovative, creative leaders and problem solvers and supports them as needed in putting action into approved projects. 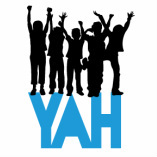 YAH encourages its members to pursue ideas for new projects by identifying what may be a need or a problem, presenting possible solutions, and creating a plan for implementing the best solution in order to resolve the need or problem. Past members have expressed appreciation for YAH because of the lifelong friendships forged through shared interests in service and leadership and the support of the organization in funding ideas suggested by youth members. Several of our former members have been recognized by their communities for service projects and have been recipients of service awards.